Sweet Briar Cottage on the main road in Heptonstall has one double and one single room. Also in the heart of the village is Stag Cottage, with one king-size and one single bed. Two twin rooms and a double room are available at the Cross Inn. The recently-converted barn at Whitehall fold sleeps two adults and two children, plus an additional sofa-bed. Just up the road in Blackshaw Head is the Pack Horse Stables, which includes a hot tub. It has one king-size bed and a single sofa bed. A little bit further is Rough Top Cottage on Kebs Road, which is available for self catered holiday lets and sleeps 5. 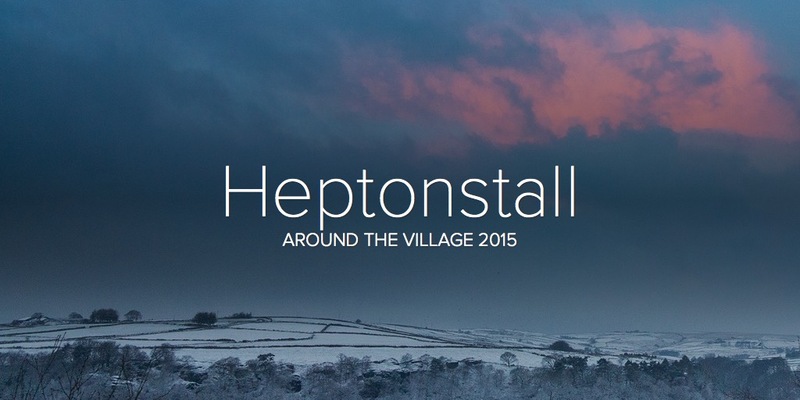 The Airbnb Website lists a good variety of accommodation within Heptonstall and the surrounding area. Snaptrip also has a range of cottages in and around Heptonstall. See their website for more details. Heptonstall is a small village with steep and very narrow lanes. As a result, through traffic is prohibited. visitors are asked to observe the 20mph speed limit and note that there is no on street parking within the centre of the village. Parking for visitors is available at the Social and Bowling Club. Food and Drink in Heptonstall village. Post Office – Sandwiches, cakes, drinks etc. (Closed for lunch 1-2pm). Hebden Bridge has a full range of cafés, restaurants, tearooms, fish and chip cafés and takeaways to suit most palates. A beautiful wooded valley with more than 160 hectares (400 acres) of unspoilt South Pennines woodland has the 19th-century Gibson Mill at its heart. As well as being the home of the northern hairy wood ant, there are tumbling streams, glorious waterfalls and stacks of millstone grit, all crisscrossed by more than 15 miles (24km) of footpaths. At its heart is Gibson Mill, a family-oriented visitor centre, telling the history of the valley over the past 200 years, with interactive displays, dressing up, dancing and exhibitions. Having no link to the national grid, the mill is unique in the UK and is the Trust’s flagship sustainable building. The Pennine Way long distance footpath and the Pennine Bridleway pass through Colden (1 mile) in the parish of Heptonstall. Both offer excellent opportunities for mountain biking, walking, and horse riding in beautiful moorland scenery in the locality.